After John F. Kennedy was assassinated, his wife, Jackie Kennedy, was very specific about the type of memorial she wanted him to have. She had previously admired the eternal flame at the tomb of the French Unknown Soldier in Paris, and felt that a similar tribute would be appropriate for her husband. The idea was approved, and the Washington Gas Company had about a day to design a propane torch that could be used at the funeral. They pulled it off, and the flame has been burning ever since. Well, sort of. Despite the fact that it’s designed to reignite itself, the flame has, on at least two occasions, gone out. 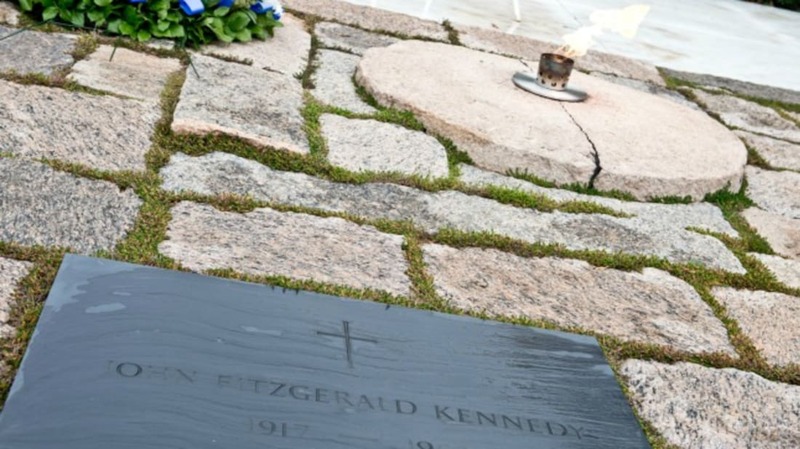 Kennedy was moved to his final resting place, not far from the temporary spot, on March 14, 1967. Later that year, inclement weather caused the flame to go out for a second time. The flame is built to withstand rain and wind—there is what the John F. Kennedy Presidential Library and Museum refers to as a “constantly flashing electric spark near the tip of the nozzle." Because of this, if the flame is extinguished, it’s reignited almost instantly. But that August, heavy rains not only extinguished the flame, but also flooded a nearby transformer. The faulty transformer prevented the spark igniter from firing, so the flame remained out until officials could light it again when the rain stopped. In 2013, the flame went through some significant renovations to make the gas system more energy efficient and easier to maintain. In order to do that, the flame at the actual site had to be extinguished. But before they did that, they transferred the flame to a temporary burner located just behind the original. By preserving that original flame, they can say it didn’t actually go out. Two extinguished flames in a little more than 50 years may mean that the flame isn't technically eternal, but it's still a pretty good track record.